“Dutch Oven Baking.” The Happy Campers show us how to cook hamburger buns from scratch in a dutch oven. Great pictures. The Scout’s Outdoor Cookbook by Christine and Tom Connors. Kathie Smith reviews this book at the bottom of her column on s’mores and shopping. “Dutch Oven Cookin’.” The Stevens family has finally put the backyard fire pit to good use with dutch oven cooking. “My First Culinary Award.” What could be better than entering a dutch oven cooking contest for the first time? Winning, of course! “Cast Iron, What’s Not to Love?” Michelle and her family detoured on the family trip to stop at the Lodge Outlet Store in South Pittsburg, Tennessee. We certainly can’t blame her. Check out her pictures and read about her new acquisitions. “Dutch Oven Cooking with Daddy.” Okay, this one is a post that...well, you’ll just have to see this for yourself. 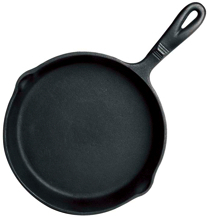 “Seasoning My Cast Iron Skillet.” Erica thought that seasoning cast iron would be a major drawback. Then she tried it and found that it wasn’t such a big deal afterall! “Teasdale Volunteer Fire Department's annual Mutton & Taters Dutch Oven Fundraiser.” Teasdale, Utah, Noon, July 26.